Danish architects Bjarke Ingels Group (BIG) will show a LEGO model of their LEGO Towers project for an upcoming exhibition at Storefront for Architecture and Design in New York. The 1:50 scale model uses 250,000 bricks and took five weeks to build. A time-lapse movie showing the construction of the model is on YouTube. The exhibition, called BIG City, presents five proposals for high-density living at the gallery, and opens on 2 October. 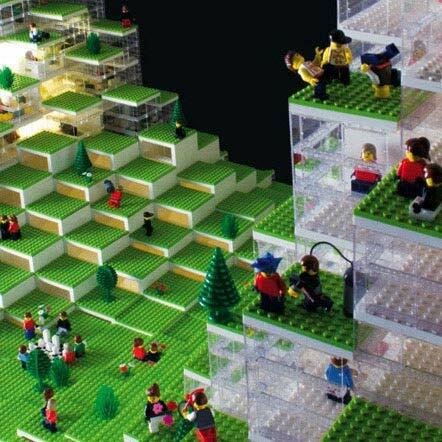 LEGO Towers is a proposal for a residential, retail and hotel development in Copenhagen. More info on BIG's website.